From the iconic lone cypress on the Monterey coastline to the palm trees of Beverly Hills and the magnificent coastal redwoods, trees are a defining element of California's spectacular and exceptionally diverse landscape. This abundantly illustrated, beautifully produced, easy-to-use volume is a one-stop guide to California's trees. An essential resource for gardeners, homeowners, landscape design professionals, and anyone interested in the state's abundant flora, it provides a comprehensive photographic compendium of 107 native and 311 ornamental species. Trees of the California Landscape gives the what, how, and where of tree selection, planting, and design, paying particular attention to the need for improving sustainability and for increasing awareness of native habitats. 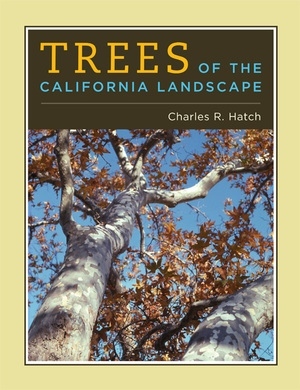 It also features a valuable overview of the topography, geography, and climates that define California's unique landscape. Charles R. Hatch, ASLA, is a Landscape Architect in California. "This is the treed landscape knowledge source, and the design and management tool we have all been hoping to see for decades. Bridging horticulture and design, it spans without judgment native specifics, introduced "near-native," and "not-so-near-native" trees. It provides the much asked-for design settings as well as the species characteristics in all their delight and imagery. This exhaustive treatise on California trees even sets the context for the big issues of climate, geomorphic, topographic and hydrologic effects, and how we design with trees so as to be true partners in the best future for California. "—Joe Brown, Principal, EDAW, Inc.